Reluctantly, I went to Ave 195. I had given up on the Haleem and everything else for Iftar, this year. The fancy places were more value for money than the low cost low quality low everything places. My friend who had it the previous day said that I should try it and give him feedback, so I went. There were two boxes, one at 199 and the other at 299. I thought, I might as well try the 299 and picked one. To my surprise, he handed me one right from the table right next to the road. "Will it be hot?" I asked. He said, honestly, "Sir, it won't be hot and this has been outside for a long time." I liked that honesty. But the rest of the box was quite good. There were three kebabs and all three were quite good. A leg piece that was juicy, three small pieces on a stick and another kebab, which together sort of made up for the average haleem. There was a little katti roll which was nice, a bowl of fruits and a sweet. And a nice cup of payasam. 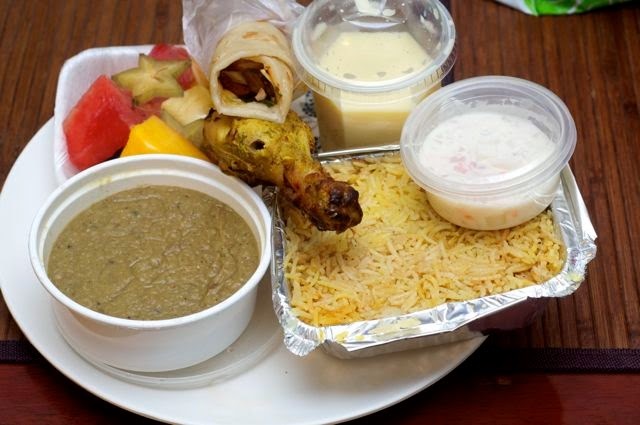 So a good box with a bad biriyani and haleem! 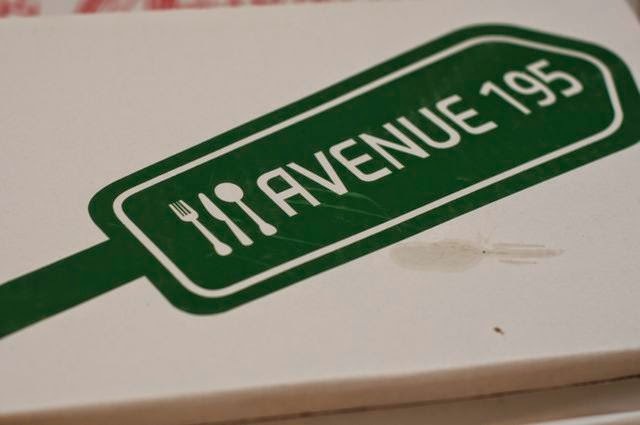 Ave 195 is at Nungambakkam, below the Zaitoon restaurant on Shafee Mohammed Road, off Khader Nawaz Khan road.